Everyone at Consumer's Survey had been anticipating the release of the Sony PlayStation 4, so when it finally came out we hurried to read all the reviews we could and purchase one to try out. There are always quite a few mixed reviews with new game consoles, with your loyal followers of the brand and those who aren't too sure yet, however, the vast majority of consumers seemed to be happy with it, so we were excited to try it out as well. What Does PS4 Have to Offer? A dynamic gaming system, the Sony PlayStation 4 keeps you connected with gaming and powerful speed and graphics, plus social capabilities that are deeply integrated and intelligent personalization. They even have a feature we really thought was neat - their second screen feature. PlayStation likes to focus on its gamers, enabling them to play whenever, wherever, and however they want, which we like! PS4 enabled the best game developers in the world to unlock their creativity and go through whatever boundaries of play they could with a system that is specifically tuned for their needs. We all think that is pretty cool. The PlayStation 4 can learn what your preferences are. Since it will get to know what your likes and dislikes are, you will be able to discover content which is ready to go under your favorite genres or made by your favorite creators. You can also take a look at other information that is shared by your friends related to games quite easily, and get information about content which is recommended to you such as TV shows, games and movies. This DUALSHOCK 4 controller brings to you a more immersive experience for gaming, which includes a six-axis sensor that is quite sensitive, on the top of the controller there is a handy touch pad. This gives you whole new ways to interact with and play games which you couldn't do before. Who doesn't like sharing with other gamers their accomplishments and engaging in countless personal challenges? With just the press of a button you can do all this. By hitting the SHARE button, it enables you to scan through your last few minutes of gameplay and tag it, then you can return to your current game and the video will upload while you are playing. This gaming system enhances your social experience by letting you broadcast your gameplay in real-time. The controller for this system is great, even for guys with larger hands like some of us are. The longer grips help you to keep a hold on it, even during a heated battle. Plus, the sticks are more accurate and smoother as well, which helps a lot when you are trying to be a sniper where you absolutely need precision. One thing we found quite convenient is that the controllers use a micro-usb port, which means that most of your chargers for android smartphones can be used to charge the controllers as well. This allowed us to charge them up right next to our chairs instead of having to plug them into the actual PS4. We at Consumer's Survey all agreed that the battery life could be a bit better, however, and that at times this system is quite loud, whereas the PS3 was pretty quiet. 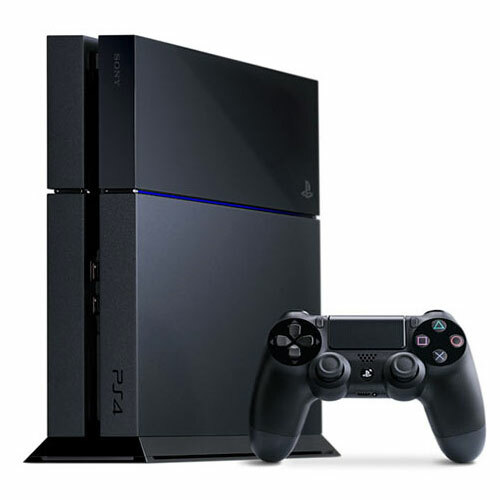 Overall, however, the Sony PlayStation 4 is a very nice system with a lot of great features.